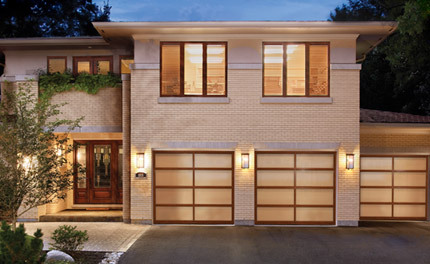 A garage door is important for appearance and function, whether it’s installed at a home or business. At Stapley Action Garage Door, we offer a huge selection of products that help you find the perfect choice from among your many available garage doors in Mesa, AZ, and surrounding communities. A garage door can transform the curb appeal of your home or create the perfect statement at your business. A garage door can also serve as a key cog in your household or business operation, making your life easier and more efficient. However, to get the great-looking, high-functioning garage door your home or business deserves, you need the garage door company – trusted source like Stapley Action Garage Door. After nearly three decades of serving Phoenix and the surrounding area, Stapley Action Garage Door is proud to announce our expansion into the Flagstaff, AZ, area. Flagstaff is a bustling, vibrant city full of opportunities. As our business continues to thrive and grow, expanding our services throughout Arizona is an important next step. While our company may be growing to additional locations, our standards and values remain the same. Our dedicated team of staff and representatives will continue to offer the best garage door services and products in the area — wherever that area may be. So, whether you find yourself in need of a few helping hands to install a new set of doors or are in the market for a superior product that can withstand constant wear, your local Stapley Action Garage Door has you covered. You should love the way your home looks, every time you pull into the driveway. By offering Clopay garage doors in Arizona, as well as products from other trusted manufacturers, we help ensure you fall in love with your home all over again. Our modern garage doors in Phoenix and its surrounding communities can complement your home’s existing architecture and help transform its appearance. By offering Clopay garage doors in Mesa, AZ, as well as overhead doors made by other trusted brands, we help ensure you enjoy the dependable operation and long-term durability you want out of a garage door as well. When a business depends on commercial garage doors, it needs doors that are tough and that can withstand the daily grind of operation in a warehouse, laboratory, production center or other harsh environment. At Stapley Action Garage Door, we offer garage door products that can take the daily beating and keep on working in even the most challenging spaces. These commercial garage doors are designed to handle nicks, dents and bumps from forklifts, pallets, machinery and other tools that your business also depends on. A quality, durable commercial garage door from Stapley Action Garage Door is the perfect way to ensure your business can operate as smoothly and productively as possible each day. We want the best for your home or business, which is why we only carry garage door products from top industry brands. You can find generic, off-the-shelf garage door solutions that may be available at bargain basement prices – but where’s the long-term value in these products? A cheap garage door doesn’t help your home or business much if it’s constantly breaking down and in need of service and repair. At Stapley Action Garage Door, our selection includes products that show up for work at your home or business each day with only minimal maintenance needed over the long term. Since 1986, we’ve been serving Mesa, Gilbert, Chandler, Scottsdale and other Phoenix-area communities with the highest quality products and exceptional service. Our team of customer service representatives and experienced technicians are always available to act urgently to get your garage door back up and running again – whether at home or at a business. Discover the Stapley Action Garage Door advantage when you need superior installation, repair or maintenance of commercial or residential garage doors in Mesa, AZ, and surrounding areas. today about your residential and commercial garage door or garage door part needs.